Conversations, reconstructed and imagined, with my Iranian father. During most of my adult life in Iran, I dreamt of leaving my country of birth, finding a place where the words “Jew” and “woman” were not derogatory terms. 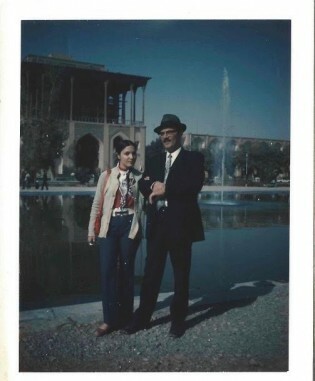 My father, however, loved Iran. He never imagined a day that he would have to abandon the country of his ancestors. We had heated debates in Iran and later in his new home, Israel. Last year, he passed away on the last day of Hanukkah, still dreaming of Iran, his views shared by many other Iranian Jews, both in Israel and in the United States. Here are my conversations – reconstructed and imagined – with my father. Yeki bood, yeki nabood. Once upon a time, my daughter, after a brief journey, you and I yearned to return to Shiraz. Through the arched gateway adorned with blue tiles, we entered our forefathers’ homeland for 2,500 years. There was a time, my daughter, that your eyes, like mine, sparked with joy to see our city of roses and nightingales, the city of poets and writers. Once upon a time, my father, winter came, the ground froze, the trees died; icecaps dropped on your city’s mountaintops. I felt the familiar invisible yellow patch on my chest for being the daughter of my mother’s religion. Dokhtaram, scant were those who scorned our beliefs. People of Iran were decent and God-fearing. There is always the good and the bad wherever you go. I saw kindness, respect; I was somebody in the land of my fathers. Baba, didn’t you tell me of dark nights of jude-koshi, of pogroms in the Jewish ghetto of your youth? Returning from his synagogue one rainy Shabbat morning, your white-bearded father, Mola Meir Moshe, the community rabbi, was beaten bloody for daring to walk outside the walls of the ghetto. Those were the old days of ignorance and fanaticism, of melee and mayhem – and even in the dark days, the kindness seeped through. A Muslim mullah brought us warm blankets, hot tea, bread, and grapes after a long night of bedlam in the ghetto. My daughter, don’t look at the ugliness. We were better off than the Jews of Europe, where the so-called civilized Germany murdered six million of us. Baba, we were not allowed to become six million. We suffered in silence. Our history not recorded and publicized, our murdered ancestors die repeatedly in the elimination of their names, their stories, and their faces. Baba, don’t help erase the past because you still yearn for your farm and orchards in Shiraz. My orchards were paradise on Earth. I created them from dust and boulders, from a land untamed and dry. I invested in them all my money, my time, my sweat, my love. Such amazing endeavor! Don’t tell me about your adopted country America being the land of opportunity. I had it all in Iran. Baba, and then the tornado of the Iranian Revolution shattered your life, your farm, your house, and your respected status. Fleeing in a hurry, you left them behind. You forgot that Jews must not invest in property they cannot secure in their pockets, in the hem of their daughters’ dresses. How can you long for your life in Iran? Yes, I suffered during those years of revolution and chaos. I suffered under a regime that tortured me and took my livelihood away, a government that reduced me to the broken man you see today. But I didn’t suffer alone. The Muslims, the Bahais, the Christians, and the Zoroastrians suffered as much, if not more. I am not the only displaced and wandering Iranian. America has its own history of bigotry and anti-Semitism. Aren’t you afraid of an uprising against the Jews? As you have allowed yourself to grow roots in your new country for just a few decades, I gave myself permission to invest in the land of my fathers for millennia. Baba, a story of 2,500 years ago doesn’t testify to today’s history. From 100,000 Jews, only 25,000 are left in Iran today – a token kept under the thumb of a Holocaust denier with an impending atomic bomb to destroy Israel, the country that shelters you. Baba, I can’t imagine Iranian Jews being brave enough like the Maccabees to rise up against those who wish to annihilate us, to assimilate us, to kill our traditions. My daughter, Hanukkah is not our story as much as Purim. We conquered and survived through words and not swords. In your adopted country, Hanukkah competes with Christmas, a commercial holiday. Don’t forget that you are Persian. Baba, I remember you lighting the Hanukkah candles in the corner of the kitchen where no one could see from the outside. You mumbled the prayers so that no one could hear you beyond your family. I light my menorah by an unobstructed window. Let the light of the candles, glowing more intense every night for eight nights, brighten my house and the faces of those walking by the window. Let the neighbors and passersby know who I am – a Jew, no longer afraid. And for you, Baba joon, my dear father, I do add an additional prayer when I light my menorah this year. I pray that once again the Iranian Jews, Muslims, Christians, Bahais, and Zoroastrians should have the opportunity to share your vision of a free Iran – a light unto other nations. Farideh was born in 1953 in Shiraz, Iran, to a family of dayanim, judges and leaders of the Jewish community. Farideh’s family moved out of the mahaleh, the Jewish quarter, to a Muslim neighborhood when she was eight years old; there she experienced both friendship and anti-Semitism. Later, attending an American-style university in Iran, she was torn between her loyalty to her family, who obeyed strict social, cultural, and religious mores, and her western education that promoted individualism and self-reliance. 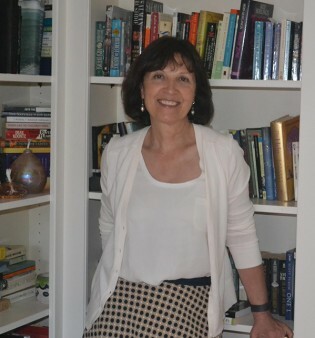 Farideh is the author of two memoirs, Wedding Song: Memoirs of an Iranian Jewish Woman (Brandeis UP, 2003), and Leaving Iran: Between Exile.